Your hand is the body part most prone work-related injuries. Therefore, these need protection, be it if you are involved in the heavy industries or embarking on DIY and home improvement or merely trimming your rose bush. There is a work gloves out there that will cater to your need. We have tested and reviewed several brands below to help you pick the right one for your working conditions. Whether you are handling rocks, mowing the lawn or operating ranch equipment the Ironclad is offering to protect your with this product. An all leather construction with reinforcements on the fingertips, knuckles and along the top of the fingers, the Ironclad Ranchworx work gloves comes in 6 sizes and boasts comfort and dexterity. Depending on what you need them for, take note that these are not for cold conditions and does not have any insulation to add warmth. The tips of the area are rather thinly constructed, and the finger stitching does tend to fray with use. The palm area of the Ironclad Ranchworx has added padding as safeguards, and Kevlar reinforcements are built into critical areas. The Velcro closure keeps the gloves in place as you work and the back of the thumb is equipped with terry cloth sweat wipe – a design feature that is rather well thought off. The material it is made of is Machine washable leather and which does not dry out or shrink when wet. 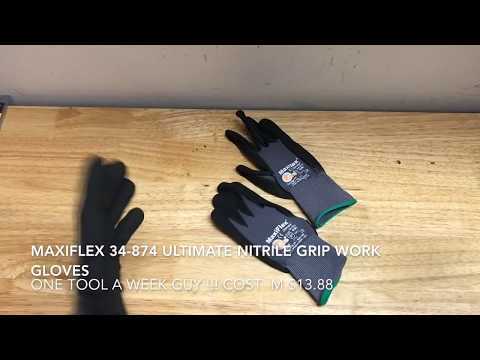 In terms of standards, these gloves is rated as a EN388 cut level 1 and a EN388 puncture level 2, meaning that while it is durable and resistant, it is on the lower end of the spectrum. It is therefore essential to consider the type of task for which they will be used. The Ironclad Ranchworx offers good dexterity it offers good fit, is stretchable making it a snug not enable you to be flexible going about your day with them. Without hampering dexterity, you can still to pick up small things without having to remove the gloves, and it is possible to use touch screen devices with these on. A good all round comfortable, hard wearing gloves, though not for cold weather. Added security features make these very versatile – even for use with touch screen devices. True to its name, these are proudly 100% manufactured by the Midwest Quality Gloves company based in Missouri, United States of America. It is entirely made of buffalo leather, tougher and more rugged than either cowhide or deerskin (assuming that these are of the same thickness). Midwest leather work gloves however, is not entirely suited for heavy duty use – it is more apt for light work than anything else. The stitching is rather bulky, making some areas of the glove tight, uncomfortable and restricting. The seams does come apart relatively fast and the finger sections tend to wear holes in time and extended use. Having been made entirely in buffalo skin and not waterproof, the dye used does come off and stain your hands when moisture gets in. These have elastic bands gathered at the wrist to keep it in place during use. The cuffs are hemmed in for added comfort and extend to about an inch past the wrists. This ensures that dirt and debris does not get in as you work. It is unlined, allowing full hand movement and high dexterity regardless of what you use them for. The leather is soft, fits true to size and does not require breaking in. Do pay attention to the sizing chart before choosing your size. As long as you measure your hands according to the manufacturer’s charts, these are equally suitable for both men and women. An American product made from resilient and durable buffalo hide, these work gloves are suitable to those going about their daily activities as it offers the basic protection from the elements you might encounter. Rest assured that you will work in comfort and with maximum dexterity with a pair of these. The Ulta-Mittz waterproof safety gloves are well constructed, durable and super tough, offering utmost protection for your hands. It is most suited for those engaged in heavy industrial work, looking for an almost impenetrable shield against surrounding elements. Added with carbon fibres at the fingers, knuckles, thumb and wrist areas, these are able to resist high temperatures, chemicals and are CE and certified as EN388 level 5 slash resistant, among others. It comes in 6 sizes. With the safety features proffered by these work gloves, it is hefty and stiff and does not allow much dexterity in the fingers. With heat resistant lining, the inside may feel abrasive at first but this feeling eases once it is broken in. Heat is also trapped inside and internally it can get rather warm when used for extended periods of time. It does not wick moisture and these are not winterized. The Ulta-Mittz’s outer shell resists water and its inner layer is waterproof. It uses Kevlar thread stitching and Kevlar protective outer layer, with a padded palm area for heat protection and to absorb vibration. Carbon fibre reinforcements all over the gloves mean that these also withstand shock and external impact. Aside from being EN388 level 5 slash resistant, these are also EN388 level 4 puncture resistant and are CE certified . Sizing requires careful consultation to the measurement chart provided by the manufacturer. The Ulta-Mitts is designed with rounded fingertips for better fit and dexterity and double layer thumbs. It gets more and more comfortable with use. 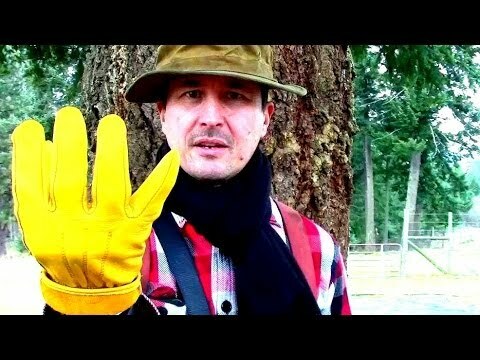 These gloves are like hard hats for your hands. They almost indestructible these are extremely well built. The bulk might be cumbersome, but it is built for a purpose, and that is to resist the elements encountered while working in heavy industries. The Rig Lizard 2021 grants superior grip in wet, dry or oily conditions. Made in the United States of America, these are for warm weather, designed to be highly visible, durable and form fitting. It comes in 7 sizes. As these are not engineered for extreme weather applications, it is not recommended to be used as a winter gloves. It also does not hold up well to sparks or open flames. According to the manufacturer, Hex Armor, the palm area of the gloves are International Safety Equipment Association (ISEA) cut level 3 and puncture level 3 resistant certified. The palm area is also double stitched for added durability and for the purpose of increasing its lifespan. This design has also allowed it to withstand abrasion and increase grip in almost all conditions, namely dry, wet and oily. The extra stitching and reinforcement in the thumb crotch area also adds to enhance this feature. The Rig Lizard work gloves are the slip on type with a neoprene cuffs. Putting it on and taking it off are a breeze. Furthermore, the cuffs safeguards and prevents debris from falling into it, while at the same time adding comfort to the wearer. While the plastic material used for its construction is thick all the way around, these still allows your hands to breathe. To be noted that the Rig Lizard 2021 are safety gloves, it is therefore pertinent that you measure your hand and compare its measurements carefully to the chart provided by the manufacturer. For these type of gloves, the materials used in the construction differs from other products in the category and may affect sizing. True to its name, the Hex Armor Rig Lizard 2021 performs the best in oily and wet conditions, while being versatile enough elsewhere. Its neoprene cuffs and form fitting design allows breathability and comfort, making it good all around. The Carhartt work gloves are entirely made of cotton duck fabric and cowhide leather. It aims to ensure that your hands remain warm and sheltered from the elements and comes in 6 sizes. With such construction, you need to remember to not machine wash these gloves as per the manufacturer’s guidelines. It is a little bulky due to the insulation but worth the trade to keep your digits warm. The cuffs are also slightly on the small side, and thus might not be able to accomodate thick coats. 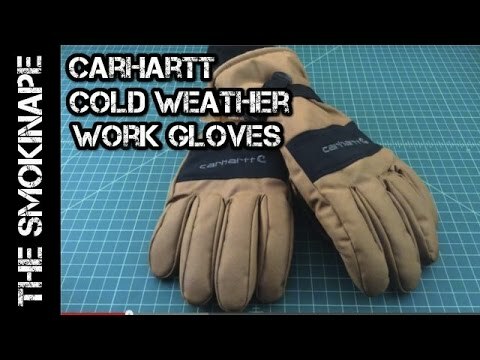 Cotton duck fabric which is a heavy, plain woven cotton fabric more durable than plain canvas, is used to make up the outer shell of these Carhartt gloves. It includes cowhide knuckle protection for safety and cowhide leather is used in the palm area. This is reinforced with suede patches to enhance its durability and longevity. These patches also serves to provide added protection for your hands. On the inside, it is soft and comfortable, lined with the 3M Thinsulate material, ensuring warmth even in single digit temperatures. The safety cuffs and side vents are designed for ease of putting it on and taking it off. These are true to fit, with a relaxed design in the finger area for more dexterity and movement. As the materials used in the Carhartt work gloves differs from others, care must be taken to ensure correct measurements of your hands. Consult the Carhartt chart to accurately select your size. These work as intended – keeping you palm and digits warm while you accomplish tasks outdoors, even when the temperatures drop. Enhanced with basic protection in the palm and knuckle area, these can be used as an all round light duty gloves with the added bonus of comfort. These are designed to heat up fast, with individual USB rechargeable battery packs in each side, with one touch control and three heat settings. Gauntlet style in design, it is compatible with touch screen devices and is currently available in in three sizes. The fit of these are rather tight, and with the battery packs located on the cuff area, extra attention needs to be given to sizing. Consult the Milwaukee sizing chart and measure your hands according to the specifications before deciding on the size deemed suitable to you. Aside from this, this product could also do with more protection in the knuckle and palm areas. 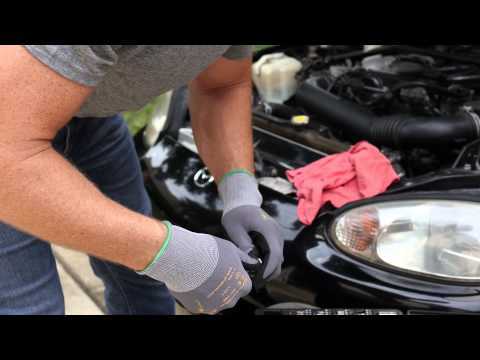 Milwaukee work heated gloves are constructed in a strong but light polyester material to enhance its durability and prevent premature wear and tear. The palm and finger areas are made of leather, allowing movement and dexterity. The insides of the glove is fleece lined, making it soft and comfortable. With the longer cuff that comes with the gauntlet style design, elements such as wind rain and snow can be kept out. The adjustable straps on the cuffs enable you the flexibility of accommodating jackets in variable thickness. A built-in terry cloth sweat wipe is also included in the design. Its heating zones are at the back of the hands and fingers. It comes with two batteries and two cartridges, one for each side. The batteries are placed in these cartridges, both chargeable via the micro usb port. It is placed in a hidden compartment on the cuff of the gloves thus making it unobtrusive. It takes about 1.5 hours to complete a full charge and at a low heat setting, lasts up to 6 hours. 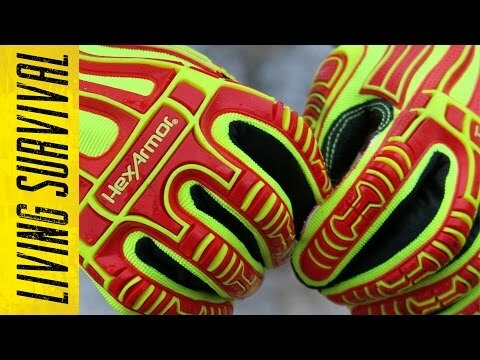 The rather steep price tag is justified by the awesome build, quality and technology that comes with these gloves. Fast heating and lasts up to 6 hours, it is complemented with touch screen compatibility and comfortable design. 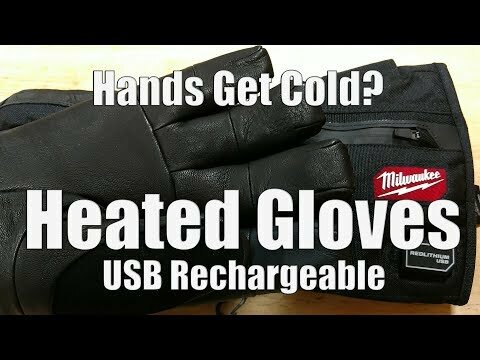 While protection is slightly lacking, Milwaukee promises heat to your hands and fingers and there is no doubt that it will deliver.For more options check out our guide about best heated gloves to find a brand that will meet your needs. The Mechanix Wear 4X is made of Mechanix’s special material, a synthetic leather, durable, tear and abrasion resistant, coupled with the added versatility of withstanding wet conditions as well as being machine washable. However, these do not insulate well and are not heat resistant. It is also found to be rather slippery with wooden handles, and is not constructed to absorb vibration while working with running machinery. The Mechanix is also lacking in terms of protection, particularly in the knuckle and palm areas. Designed with velcro straps at the wrist, dirt, debris and other elements are kept out of your gloves. The back of the hand area is covered in breathable mesh-like material, ensuring airflow and making sure that your hands are reasonably cool and comfortable. Being constructed of synthetic leather, it is comfortable in wet conditions and it does not harden or retain moisture when exposed to water, oil or other solvents. It also returns to its original shape when it is dry again. The sizing on these are spot on – requiring no break in time. It has good fit and feel, is pliable and soft and allows dexterity and finger movement. 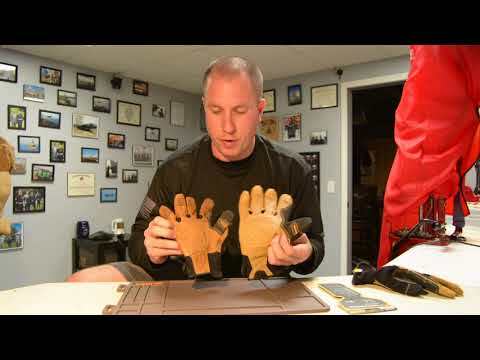 It is possible to use a touch screen devices with the Mechanix. These are the gloves you go to for good “feel” and for light to medium work. It is unsuitable for more than that as it does not offer much protection. You can use these in wet or dry conditions and be assured that however dirty it gets, you can just throw these in the washing machine, and it will come out fine. Made entirely from tough cowhide, this popular and well priced product is durable and can potentially protect your hands from abrasion and puncture. Designed in the Gunn cut and comes in 5 sizes, it allows better wear and comfort and ensures that whatever job you are into, it will get done. Sizing is seemingly inconsistent with the Wells Lamont 1132L. Therefore, carefully take measurements as per the manufacturer’s instructions and refer to the chart for your size. These are not lined and therefore are not all weather gloves. Protection is also lacking, where you are only shielded by the cowhide with no added protective layers on the knuckles. A clever feature with these gloves is the ball and tape wrist closure. This allows you to snugly tighten the gloves with ease, thus ensuring a better fit. It also serves to prevent dirt, debris and other elements from entering. A leather patch on the palm area safeguards and enhances the abrasion resistance, as well as proffering better grip and durability. 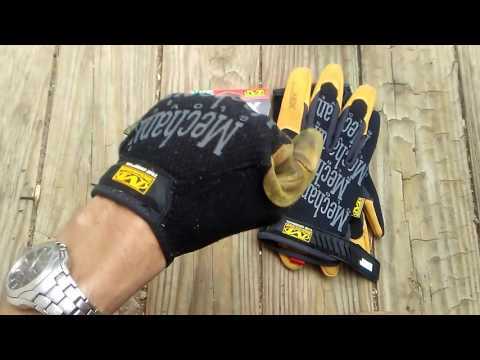 You can use Wells Lamont work gloves for a variety of tasks, be it landscaping, working in your yard or operating heavy machinery. However, the lack of protection makes these rather unsuitable for much heavy duty work. Being full leather and with the Gunn cut, comfort and dexterity is not a an issue – these are a good all rounder. At this price the use you get out of a pair of these is well worth it. For the price, these are unbeatable – you get multiple use out of a pair, with full tactile feel for hard to reach places and for tightening nuts and bolts, as well as moderate protection from external elements. These are snug but breathable and comfortable. With these gloves, there is no sizing guideline provided from the makers, therefore some guesswork is involved. Best stick to the average size you normally wear. These are not waterproof and is not very warm due to the material it is constructed from as well as being rather thin. The Maxiflex 34-874 is CE certified, made of patented micro-foam nitrile. The coating is compatible for jobs involving lightweight oils. Grip is excellent with this product and it has superior abrasion resistance. The knit material at the wrists is tight and secure, thus preventing dirt, debris and other elements in the work area from entering the gloves. Easily cleaned, these also remain smelling fresh for a lot longer. These are 100% silicone-free, designed with smooth and rounded fingertips to enhance sensitivity. The fact that the Maxiflex 34-874 is designed without finger or palm seams provides added comfort and closer fit. It is also pre-washed in the final stages prior to delivery and therefore can be used immediately. The makers have also ensured that these are dermatologically tested and it is certified to not cause you skin problems. For the price, you can’t beat them! You get multiple use out of these, making it good value for money. It is suited for jobs where finger dexterity, touch and feel is important, with some light barrier against dirt and debris. Sizing may not be accurate, but stick to your usual Nitrile work gloves size and it should be fine. These are manufactured by G & F Products and are basic foam gloves for lightweight work. Its construction is straight forward, made out 60% nylon shell and coated with 40% nitrile element. Its best attribute is flexibility and dexterity and if this is what your task requires, you will not go wrong the the MicroFoam. With the thin material and rubber elements, these are definitely not suited for use in cold areas or outdoors in winter. The MicroFoam also leaves a black residue on your skin and comes with a pungent rubbery smell on the first use. Check the sizing guideline carefully as these vary from other similar products in the same category. Made to CE standards, these allow you a range of activities from laying brick to picking up sheet metal off the ground. This is down to its thinness and snug fit, making you forget you have it on. The rubberized palm area aids with hand grip as well as provide you with some added protection. Areas where it is coated with nitrile is also liquid proof. It is also designed to produce minimal lint and dust as you work. It has mesh elements on the back of the hand area to promote airflow and breathability. Pop these in the washing machine when it is dirty and it will still function well in terms of grip and dexterity. These are even cheaper than similar gloves in the same category. These make great general light duty gloves that function great to protect your hands from bumps and scratches. They fit great, provide grip, and can be machine washed. Either you are in employment in heavy industries, or a homemaker with an interest in DIY, our guide to work gloves aims to assist you choose. This guide is by no means exhaustive – there are many other features out there, but rest assured that we strive our best to list down what we thought would genuinely help you. We approach this by the different types available, what the construction entails in terms of materials used, as well as how protective it can be. We focus on Americain Standard in this work gloves guide, but there are similar ones to these if you consult safety guidance websites. We start with what substance you are handling. This is as gloves vary in its design, material and thickness. Do take note that not one material is able to safeguard you from ALL substances, nor can it do so for a too long. While not mandatory for manufacturers, you may wish to refer to the U.S. standard is ANSI/ISEA 121 (“American National Standard for Hand Protection”) for ratings on the protection provided. For prolonged contact with water or wet work, choose one that meets the ANSI/ISEA 121 and European Standard EN374-2. This shows it is waterproof, made of material, which allows no water in at all, and it is usually coated in rubber on the exterior. Special coating also exists specifically for handling elements such as cement and tar. With regard to the substance you are handling, manufacturers usually have to inform you how their product would hold up in its handling. Take note of the three terms used, namely breakthrough time, permeation rate and degradation which tells you of its performance upon exposure. The ANSI/ISEA 121 provides guidelines on this and the European Standard EN374-3 can also be referred to in selecting products that are able to protect hands from substances/chemicals. If your task or activity entails a risk of abrasion, cuts and puncture, for example gardening, landscaping, wood or metal work, or those involving sharp tools, take note of standards such as the TDM Test Method under ANSI/ISEA 121 and the EN388. With exposure to elevated temperatures, attention is to be given to the ANSI/ISEA 121 and the EN407 standardization. Gloves that comply with this standard are made with fire-resistant material and some specific for metalworking also include fire retardant elements to prevent the gloves from catching fire. For working outdoors in cold weather, you can now choose not just thick, insulated gloves but also heated battery powered ones. If you are one of those that have a reaction to natural rubber latex, then there are non-latex options on the market. If latex is unavoidable consider those with that are low-protein and powder-free. If you have to be using work gloves for a length of time, then comfort is definitely something to pay attention to. You may choose a product made of thick and robust material, which would no doubt give you more protection, but the trade off is dexterity, which comes from thinner ones. Also to note is the length – if your hands are to be immersed in a particular substance you want protection from, choose those with longer cuffs and vice versa. While it may seem simple that it should fit the wearer, bear in mind that your hands needs dexterity and would tire faster and lack the grip strength in a tighter pair. If you get too large a pair, then folds will be present and this makes it uncomfortable and will affect your work. It is pertinent to consult the manufacturers sizing charts to get a good fit. Other points to consider with regard to this are how the sewing is done. Seams on the outer area add comfort, but may lead to quicker fraying. Inside seams are stronger, however, may cause blister as your palm or finger rubs against it. Breathability is also a comfort-affecting factor. However, with highly protective gloves this is harder to achieve considering the materials used. Bear in mind that whatever the choice; it should be made without hampering the activity. For example should it be used with oil, or water then a rougher texture on the palm can assist with grip. If there is risk of impact on the hands, protective features such as hard plastic on the knuckle or back of the hand area can be considered. The right thickness and padding is also useful, namely in the reinforced palms and padding in the fingers. This is becoming a more and more common feature and serves to be useful if your activity involves finicky touch screens. Even if it does not, these pads allow you the ease of not having to take it on or off to use your smartphone. Yes care and careful consideration is needed to find a right pair. But hey, if you are already exposed to risks and dangerous elements in your work place, getting it right is akin to putting on a hard hat. It is a necessity and must not be taken lightly. We hope that this work gloves guide somewhat helps you find your true match for your hands. We continuously read up and research this topic and do welcome your comments. Hit us up if you know of new upcoming features that would spark discussion, and add it in the section below.